Sales of solar energy equipment have increased in recent years, so it's not that surprising that consumer complaints related to these sales have also risen. The Consumer Federation of America (CFA) surveyed 39 consumer agencies in 23 states and found that solar energy sales emerged as a new area of concern for consumers. 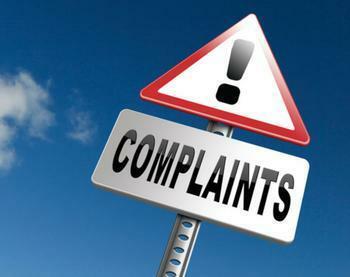 As the industry grows, so do the complaints. An analysis of reviews of solar purchases posted at ConsumerAffairs revealed a number of different kinds of complaints, ranging from the installation under-delivering to the addition of solar equipment making it difficult to sell the house. The CFA survey found that solar panels aren't all consumers have to worry about, though. The agency says that used car leasing -- a new financing option that has emerged in the wake of a growing number of new car leases -- is also emerging as a new area of consumer complaints. It's true that monthly payments are lower, but CFA found that interest rates can be high and that state lemon laws and some other consumer protections might not apply when a used car is leased instead of purchased. “Consumers who lease used cars may be stuck with lemons or be on the hook for costly repairs,” Grant said. Lastly, state officials have told CFA that fraud complaints are becoming a quickly growing problem for consumers. Amber Capoun, a legal assistant in the Office of the State Banking Commission in Kansas, says imposter scams, where the scammer pretends to be from some government agency, are among the worst -- and most effective. These criminals either try to scare victims into sending money with a gift card or promise thousands of dollars in grants, as long as the victim pays a small upfront fee. The state consumer agencies have recommended new laws to better protect consumers. In particular, they suggest that telephone companies should be required to take additional steps to block illegal robocalls and other scam calls. CFA says the Federal Communications Commission (FCC) is considering a rule to allow phone companies to block calls when the Caller ID appears to be spoofed.